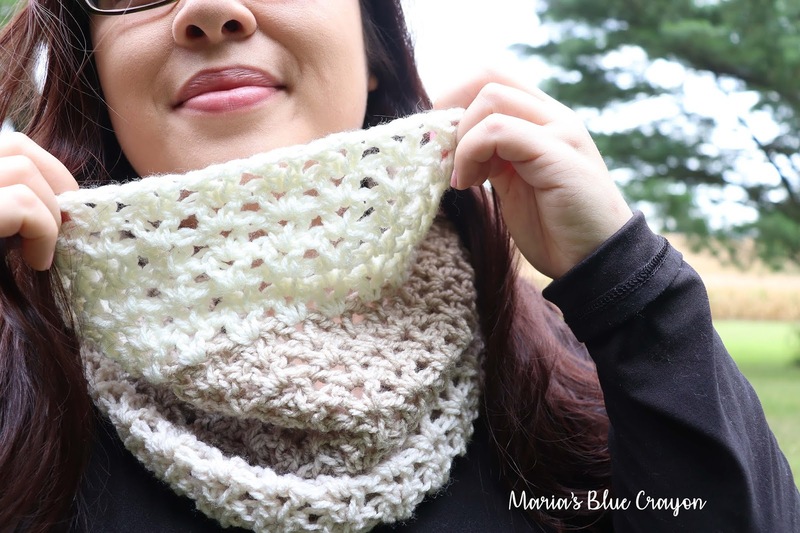 SCROLL DOWN FOR THE FREE PDF PATTERN FOR THE CROCHET LACY COZY COWL. If you have been following me for a while, you know that I love Caron Cakes. I have a number of pattern using all variations of the Caron Cakes (Big Cakes, Tea Cakes, Sprinkle Cakes). FIND ALL MY PATTERNS USING CARON CAKES HERE. I love that they come in beautiful color combinations that I would otherwise put together on my own. This cake does have ‘abrupt’ color changes, but using the right pattern you don’t notice it much at all! The lacy cozy cowl is crocheted using the rope stitch which gives a breathable fabric and pretty lacy texture. I think it’s the perfect transition piece into fall or a good piece to have all winter if you live in the warmer climates. The rope stitch is a very easy stitch and can be worked up quite quickly. After the first row, you will be working into the chain spaces vs. individual stitches, which makes it a very easy and mindless stitch. 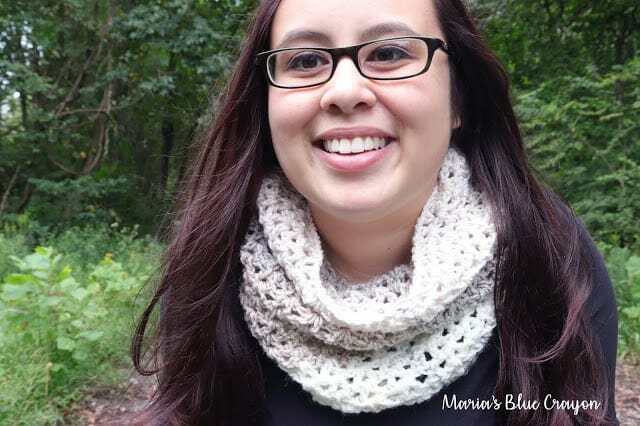 If you would rather use a solid color for this cowl, I would suggest using a worsted weight yarn that gives plenty of drape. Suggestions for yarn substitutes I would give are the following: Lion Brand Heartland, Caron Simply Soft, Lion Brand Jeans Yarn, and Red Heart Soft. Those yarns will give you a pretty drape and keep your cowl flexible. DOWNLOAD THE AD-FREE PDF PATTERN HERE. PIN IT TO YOUR BOARDS ON PINTEREST. 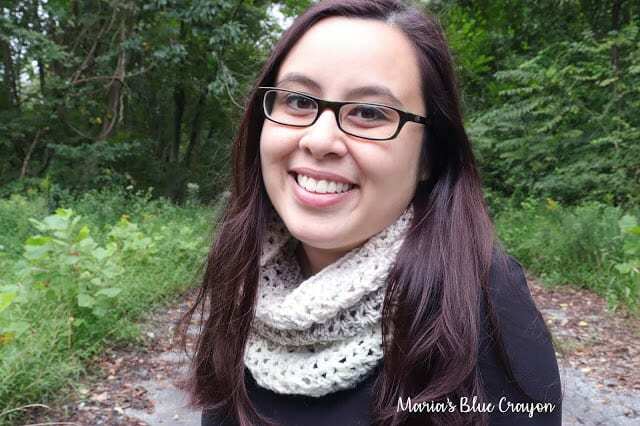 Sharing in any way you can helps my blog going and free patterns coming! Thank you so much! Repeat Row 2 until you have 20 rows total. Fold the rectangle you have in half horizontally. Whip stitch up the edge and weave in any ends. Made the Velvet Circle Pillow this week. It is beautiful in Bernat Chilled Blue with J hook. Hardest part is now I have to sew up a pillowcase to stuff it with. The double crochet leaves too much room for the stuffing to stay in when you wash it. With 5 dogs and a husband, I will have to wash it. Thank you for this pattern. I will make more, after I get over the sewing and stuffing. LOL! Beautiful pattern, thanks for sharing! Did you need the full caron cake skein? I have some lion brand heartland lying around that I'd like to use but it's definitely not the equivalent of a whole cake.